18k gold plated brass necklace. 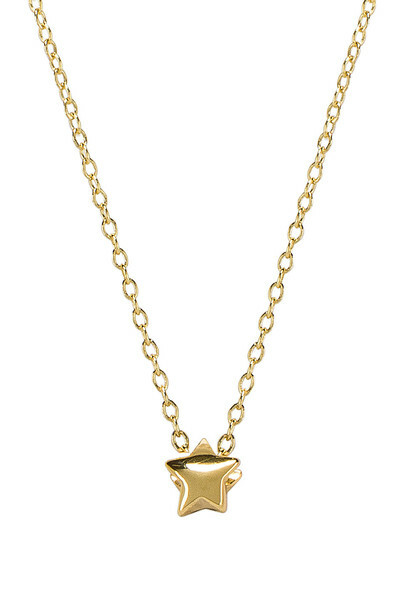 Star charm. Spring clasp closure with adjustable sliding bead. Measures approx 18" in length. Imported. GORJ-WL983. 1810 119 G. Equally beach casual and city chic, Gorjana is a socially conscious lifestyle brand that makes fashionable, high quality accessories for women. Their signature dainty stackable pieces are both understated and eye catching all in one. Layer them up and you'll never want to take them off again.